LKCNHM | BES Drongos | Follow that monkey! Warning: this article contains pictures of dead animals. If you’re a little squeamish, maybe give this one a pass. There are two main ways of preserving specimens – dry and wet. Dry specimens can stay preserved simply by staying in a cool and dry environment. That’s why the temperature and humidity levels are rigidly controlled in the dry collection. I’d say this is a good place for an Instagram photoshoot. The dry collection is located on one of the upper floors of the museum itself. It is a labyrinth of metal cabinets known as compactors, all arranged in straight rows. Each compactor can be moved left and right simply by turning a wheel, so that they can be jam packed together to conserve space. When anyone needs to use a particular cabinet, they can simply move them apart again to open the doors. It’s chicken soup for the neat freak’s soul. The dry collection hosts a mind-boggling variety of specimens. The pale remains of corals! Birds, mammals, sea shells, eggs, even nests! Even poop! Scientists really go for anything, huh? Objectively? Probably the coolest drawers you’ll ever pull open. There’s also a little herbarium, which seems indistinguishable from an ordinary office filing cabinet at first. Plant specimens are dried and pressed, much in the same way you see artists pressing flowers poetically into the pages of books. They’re sealed in Ziploc bags for future reference. Because my hands are too crude and clumsy, I didn’t get to open them. But, you know, they’re plants, but flat. Keep reading to continue our tour at the wet collections! Whale, whale, whale, what have we here? When a dead whale washed up on Jurong island on the 10th of July, 2015, nature enthusiasts across Singapore were shocked. When you think of Singapore’s marine life, many people would think of fish, crabs or maybe even sea turtles! But a whale? On our tiny island? Never! But lo and behold, the first large whale carcass found in Singapore for over a hundred years had been found, and on Singapore’s jubilee year no less. The animal itself is a 10.6m long female sperm whale, and it is the first confirmed sighting of its kind in our waters. 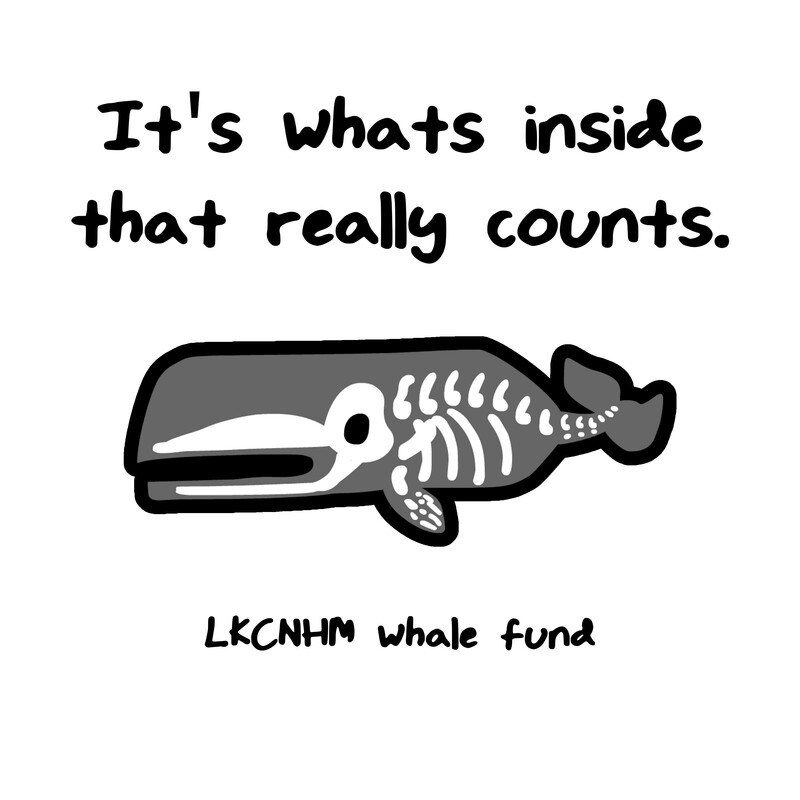 While it is rather upsetting that the whale was found dead, its death shall not be in vain. As of time of writing, the whale itself is being salvaged by the Lee Kong Chien Natural History museum to be made into a display! Older readers may remember the old “Singapore whale” that used to hang in the original Raffles Museum at Stamford Road. That specimen was actually recovered in Malacca, and was an impressive 13m long. 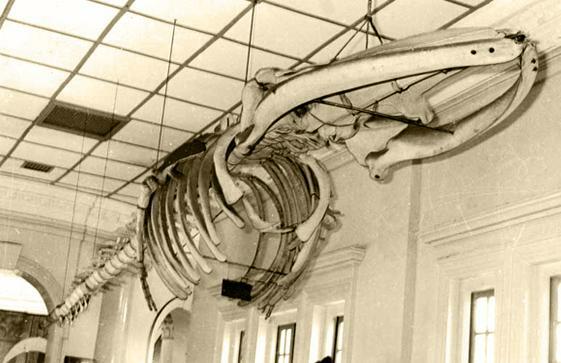 In 1974, the whale was given to Muzium Negara in Malaysia when the museum had to move to smaller premises. Today, the skeleton stands in the Maritime Museum in Labuan, off Sabah. The museum was never really quite the same without its awe-inspiring whale skeleton. Which is why the Lee Kong Chien Natural History Museum is calling for donations to do up a new display for the sperm whale! The museum hopes to inspire future generations with this display, just like how the old Singapore whale fired up imaginations in the past. The display itself will a testament to the biodiversity education, research and conservation efforts by the museum, but to do so they need financial help. If you are interested in donating, you can do so here! If you are interested in looking at the preservation and salvaging process of the whale, you can look at photos here. Finally, to learn more about the new and old whales, you can read up on them here.